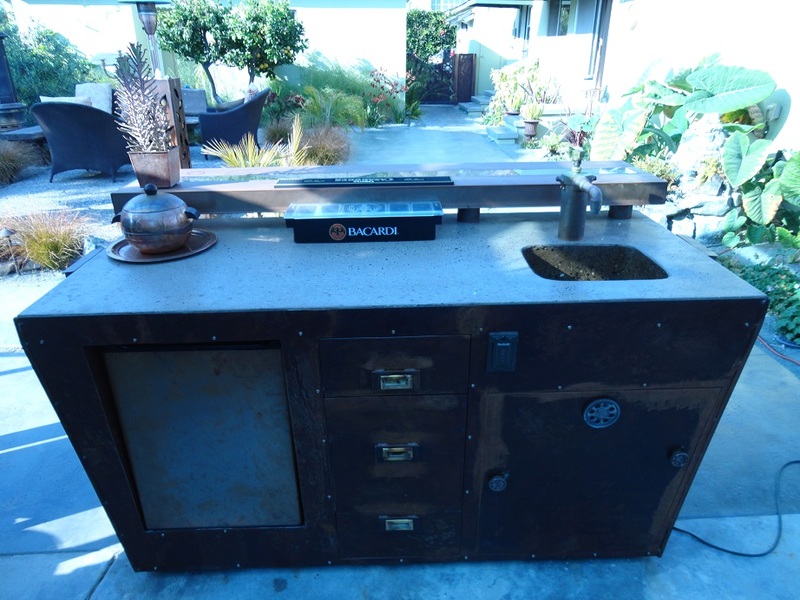 This outdoor kitchen features rusted steel, polished concrete countertops, custom faucet, concrete sink with fresh water and waste tanks, triple drawers, mini refrigerator and copper bar with Edison retro bulbs. This entry was posted on Saturday, November 2nd, 2013 at 7:13 pm. It is filed under . You can follow any responses to this entry through the RSS 2.0 feed. You can leave a response or trackback from your own site.